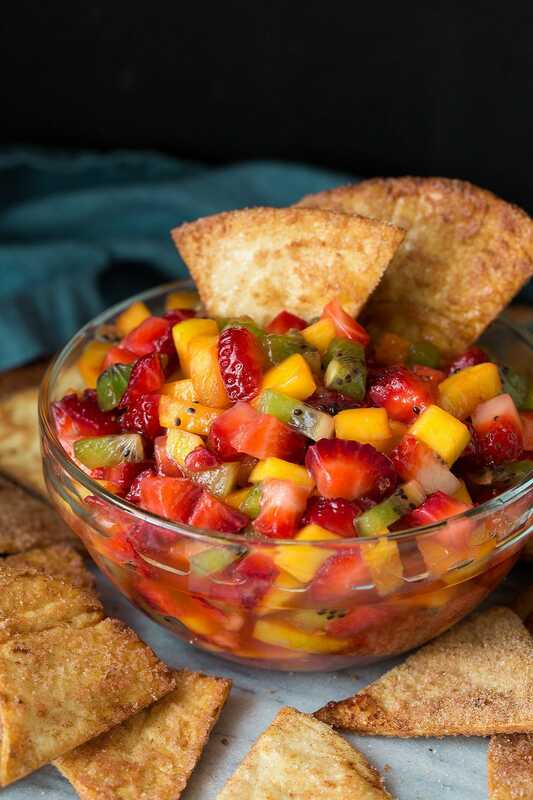 Fruit Salsa with Baked Cinnamon Sugar Tortilla Chips – yes and definitely yes!! You know I’m all about the dips and salsas, especially when they involve something sweet. I’m totally in love! 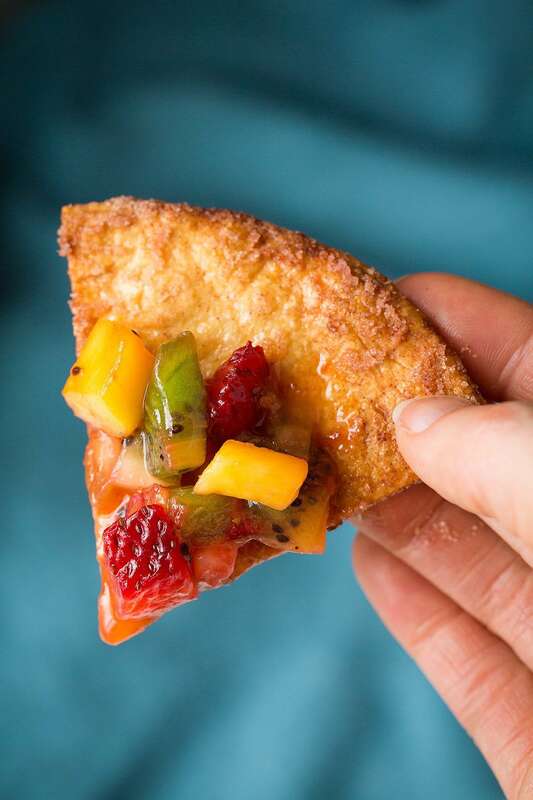 I’ve always been a big fan of baked or fried cinnamon sugar chips (I make these baked ones all the time) but I’ve actually never paired them with fruit salsa until now. But let me tell you it is a match meant to be! In a small bowl mix together sugar and cinnamon. Brush both sides of the tortillas lightly with melted butter. Sprinkle each side of tortillas evenly with cinnamon sugar mixture (I recommend laying them over a cutting board when doing this. Use up all of the cinnamon sugar mixture). Cut tortillas into 6 wedges (like a pizza. To cut them, I like to make 2 stacks of 3 tortillas each then cut through all of them at once. I first cut them into halves then from there each half into 3 wedges). Transfer to prepared baking sheet in a single layer (they'll likely have to overlap slightly in places). Bake in preheated oven about 10 - 12 minutes, turning chips once halfway through baking (they won't be fully crisp throughout by the end, but once cool they should crisp up fully). Let chips cool then serve with fruit salsa.